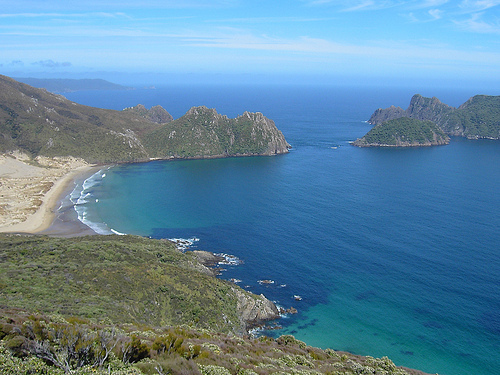 Stewart Island is an absolute wonder, yet only a small percentage of international travellers actually visit it. It’s a place that tends to get left out of itineraries, not least because it’s a bit tricky to get there. But trust us: you won’t be disappointed! Once you’re there, you’ll very quickly get used to a slower pace of life that characterises this region. Stewart Island is such a pristine gem within New Zealand. It’s not what you would call sophisticated – and that’s part of its charm. In fact, we guarantee you’ll want to return to this very special paradise – it’s a true environmental treasure! New Zealand’s little known southern-most inhabited island sits 30km south of the South Island of New Zealand. It has a permanent population of almost 400 people, spanning an area of 650 square miles. Having always been a sparsely populated part of the country, this has left much of its unique ecosystem untouched. 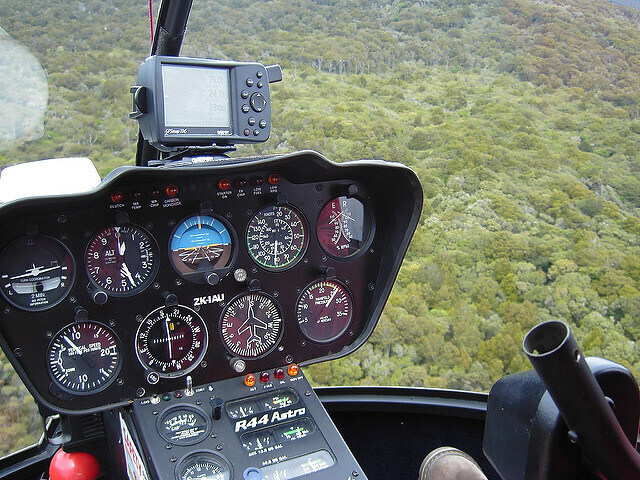 Stewart Island is home to miles of native forest and a plethora of native wildlife. You have the opportunity to experience seeing rare birds such as New Zealand Albatross, Kaka, Kakapo, and the Stewart Island kiwi! This is an experience that is hard to beat. Fun fact: On the original maps of New Zealand drawn by Captain James Cook in 1770 depicted Stewart Island as a peninsula, not an island. This wasn’t a mistake! The reason? The British didn’t want the French to get any ideas about using Stewart Island to mount an offensive! You can still see this on reproductions of the original maps. As we mentioned, the main reason that Stewart Island is very much off the tourist trail is that transport options are limited. 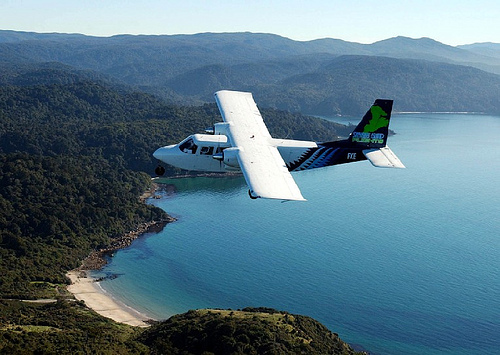 It really comes down to two choices: You can either get there by ferry, or take a flight in a fixed-wing aircraft. By Ferry – The ferry crossing takes approximately one hour from Bluff, the Southern-most town in New Zealand. Ferries go back and forth throughout the day, so check the timetable to plan your day accordingly! If you really want to explore Stewart Island in the true sense of the word, it’s best to plan on being here for at least a couple of days. This helps to make the journey worth it, and also gives you the chance to really take your time. Stewart Island really isn’t a destination for rushing around – it’s about going slow, and just enjoying the landscape. There are plenty of walks close by that don’t involve transport. But what a lot of people don’t know is that there are bicycles and scooters available for hire at Steward Island! 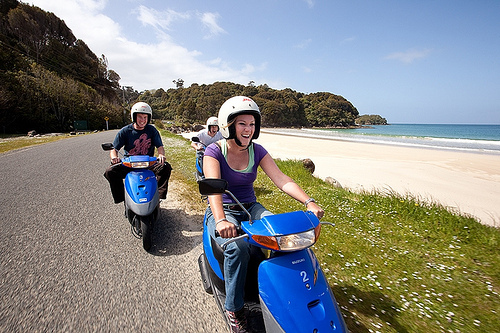 We find that scooters are the most fun and convenient way to get around the island. They allow you to see a lot of scenery in a short space of time, and are very good at negotiating those tricky hilly bits. A lot of Stewart Island is very rugged terrain, so cycling does get exhausting pretty fast! For experienced trampers, the 10-day tramp is one of the most popular. This tramp takes you right around the northern circuit of Stewart Island. You have to be well-prepared for any eventuality on this one! In other words, it can be challenging due to the terrain and weather conditions. So, it pays to be well-equipped. Note: The further south you are heading, the cooler the climate generally gets. This is the opposite of the Northern hemisphere, and this often catches travellers out! Steward Island generally has a mild climate with a lot of rainfall, so make sure that you dress for any eventualities in that area. 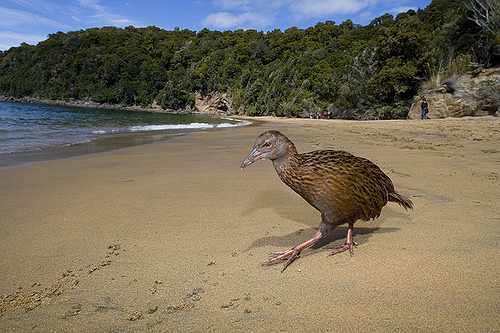 Our guide on the best season to travel New Zealand also covers Stewart Island. I would suggest that everyone who stays in Stewart Island should go on a guided walk to the open bird sanctuary at Ulva Island. It’s just a quick 10-minute boat ride from Golden Bay, and has been totally predator-free since 1997. This means there are no rats or stoats here, which as introduced species have been devastating to native bird populations. 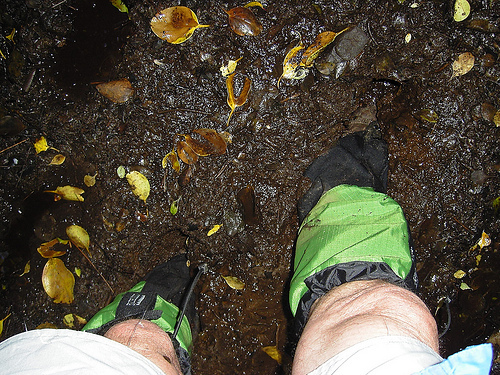 For this reason, Ulva Island can only be explored in a small group guided tour managed by the Department of Conservation, and it has strict biosecurity requirements. Ulva Island also has the most amazing flora and fauna. You’ll see a wealth of stunning seasonal orchids, mosses, ferns, liverworts and tiny delicate ferns. At Ulva Island, you get an incredible sense of what New Zealand was like before any humans arrived. For more information on this remarkable place, check out our dedicated Ulva Island guide. Happy travelling on Stewart Island! For more nature-inspired trips, check out our comprehensive nature and lifestyle itineraries!